Start with one field only. Using too many fields may yield no results. The Product code has an autocomplete field whereas all the others have convenient ranges to select from. Click "Filter" to narrow your search. Add one field at a time to narrow your search. 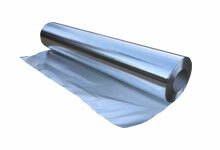 Dimensions are approximate and should not be used for design purposes. Christmas mince pies, jam tarts and mini cocktail quiches. Please follow the link(s) to find more information on the associated containers. Portuguese baked custards and self crusting milk tarts. Standard rectangular pie containers for homemade pies. Rectangular sweet or savoury pies. Large single portion sweet or savoury pies and cottage pies. Fruit flans, quiches and shortbread biscuits. Deep tart plate. Ideal for quiches and apple tatin. Florentines, shortbread and individual oven baked rosti. Large single portion pie container. Ideal for pub pies and cottage pie. Standard pie container with a wide rim. Small pork pies, individual fruit charlottes and small muffins. Standard pork pie wide rimmed container which may also be used as a single serving dessert container. Fluted container for sweet or savoury pies and desserts. Pot - o - snack for sweet or savoury pie. Medium portion sweet or savoury pie. A medium tart plate with a hemmed edge. This large tart plate is ideal for traditional home-style tarts and family pies. Small spill tray for a spiral stove top. Large spill tray for a spiral stove top. Baked cheesecake, fruit cake and refrigerator cakes. Tart plate for quiches and flans. Medium flans, cheesecakes and quiches. Large, shallow, tart plate for peppermint chocolate, tipsy and coconut tarts. Roasting pan and ideal for catering size lasagne. Disposable braai (barbeque) container with slots for a wire stand. Ideal for a single portion lasagne. A standard strudel tray which may also be used for baklava, pizza bread and mini swiss rolls. Standard six bun tray. Ideal for any variety of buns. Four bun tray for chelsea buns, raisin buns and cream buns. Ideal for a top crust and cottage pies. A multi portion container, ideal for pasta dishes and baked puddings. Hot cross bun tray and a spill tray to a kettle braai. Baked puddings, cheesecake slices and fridge tarts. 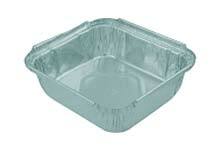 550ml Shallow freezer dish, ideal for meat balls in sauce, baked fish and cannelloni. Six bun tray. Designed for additional strength with ribbed sides. Large loaf pan for yeast breads, speciality breads and decorated sponge cakes. Take away container for curry and rice and macaroni cheese. For convenience meals such as casseroles, bobotie and family shepherds pie. Rectangular baking tray and airline hot towel tray. Ideal for fridge tarts and baked brownies. Multi-portion container for shepherds pie, moussaka and is a useful roasting tray. Top crust family pie, sticky toffee pudding and caramel bread pudding. 690ml Family size pie container, also suitable for bobotie. Roast chicken roll, seafood terrine, lasagne, cassata loaf and caramel bread pudding. Also suitable for home freezing. Half strudel tray, baked pudding squares and baklava. Small square container for pies and baked puddings. Small rectangular container for making individual desserts and bread. Two servings pie container. Traditional steak and kidney top crust pie. A single portion container for pasta dishes, take-aways and casseroles. Small, single portion, container ideal for picnic snacks and fancy breads. Square roasting tray for ready-to-roast meat and chicken packs. Also suitable as a square baking tray for sponge cake. Take-away container, ideal for pasta dishes. Triangular container suitable for mix and match take-aways. Large single portion pie. Suitable for a top crust pie. Christmas fruit cake, round speciality breads, panettone and family size pies. Fluted container for sweet or savoury tarts, quiches and fruit flans. Large Christmas pudding, cassata fruit charlotte and ice cream bomb. Small Christmas pudding and self-saucing baked pudding. Speciality breads and cakes. Also suitable for packaging in the butchery. Weighing bowl for laboratory use. An airline tray which is also ideal for chargrilled vegetables and chinese stirfry. Catering portions of lasagne and baked puddings. Large take away container which is also suitable for home freezing. 3 - Portion serving container. Heat sealable airline meal container. Shallow, oval, ariline meal container. Deep, oval, airline meal container. Smmoth-wall deep, double portion home meal container. Deep, double portion, ribbed home meal container for ready to cook roast meat, chicken or fish. Multi portion home meal container. Smooth-wall multi portion, ribbed, home meal replacement container for ready to cook roast meat, chicken or fish. Medium Lazy Susan caterware tray. Novelty container for valentines day, mothers day or birthdays. Christmas mince pies, cocktail quiches and sweet and savoury cocktail pies. Two division container with an ivc edge, for take-away and TV meals. Potato bake, gratins, marinated kebabs and frikkadels. A medium freezer dish. Family size lasagne and casseroles. Deli take away container. Oval, two division, container ideal for fish and chips or as a party platter. 720ml Loaf pan for baking and butchery use. Family size pie. Traditional steak and kidney top crust pie. Baked puddings, moussaka and macaroni & cheese. 18cm Baking pan for desserts and baked puddings. Tag for soil samples, seedlings and trays. Smooth-wall double portion home meal container. Smooth-wall double portion, ribbed heat-sealable container, for ready to cook roast meat, chicken or fish.